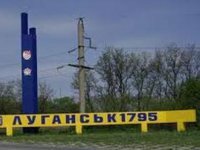 Another power line was damaged in the fighting in Luhansk on Thursday, as a result of which the city was fully left without power, the city council has reported. "Another line, that provides power to the city from Krasnodon, was damaged in the continuing attacks on the regional center. As a result, Luhansk was fully left without power," the city council reported on Thursday. Residential buildings and social infrastructure objects, including healthcare establishments, are now without power. Hospitals are temporarily getting power from electric generators, but the city's fuel resources are nearly exhausted. The city's pumping stations have stopped due to the blackout and the city is having serious problems with water supplies. Specialists currently can not help with repairs due to continued fighting. Possible solutions to the situation will be considered as soon as the possibility arises.